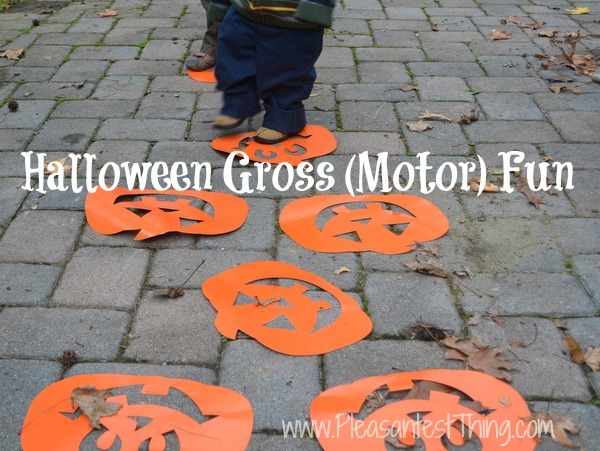 We can’t seem to stop playing Halloween games! 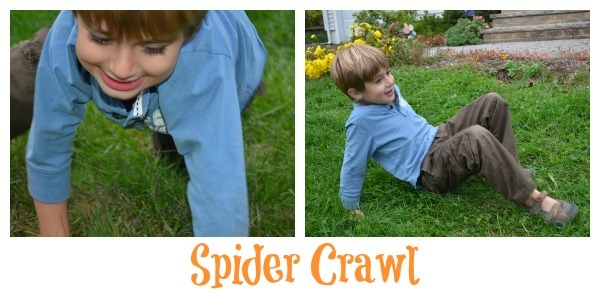 Here are a few ways we got moving outside, putting a Halloween twist on our moves. Let them come up with new ways to play! Bonus points if you set up a web with yarn or tape for your little spiders. 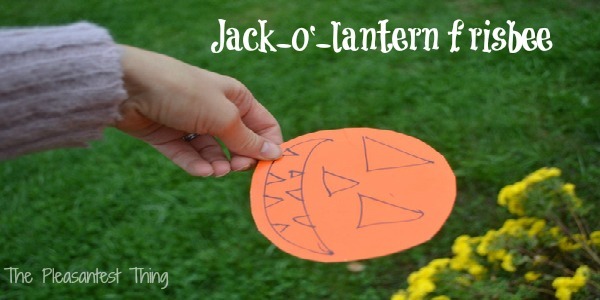 Cut out the middle circle of an orange paper plate, and draw a jack-o-lantern face on it. SPIDER RING TOSS: Ok, this is more of a fine motor activity. 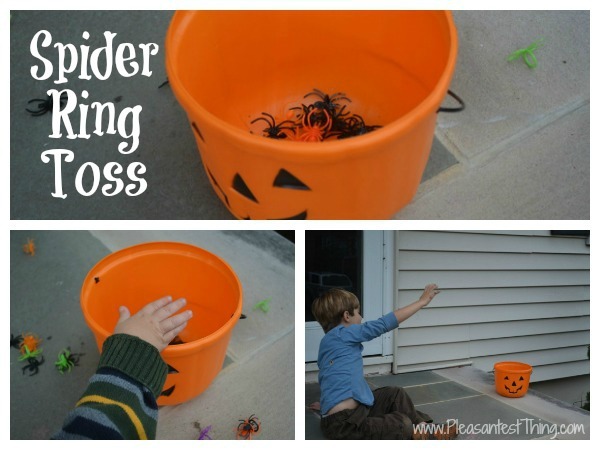 Get a pumpkin bucket, and try to toss spider rings inside! My little guy also likes to just empty the bucket and do this over and over. 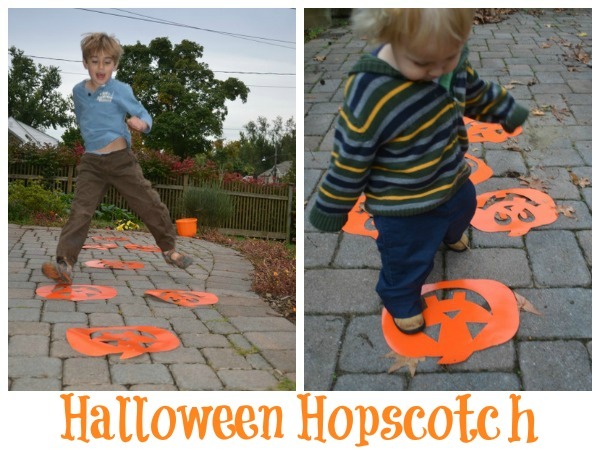 We do also play a running version, where I hold the bucket and my kids try to get the spider rings into the pumpkin bucket while we are running around. What Halloween-inspired games have you been playing?